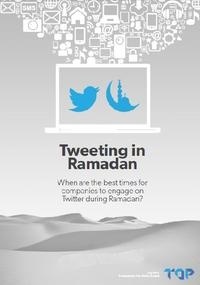 When are the best times for companies to engage on Twitter during Ramadan? As more brands in the Middle East engage on Twitter, they are becoming increasingly accessible to audiences in the region. Twitter users are using the channel to share their customer service inquiries, grievances and issues. As a result, a few brands are often delivering friendly and timely service. Other consumers are finding that following their favorite regional and local brands is a practical and easy way to keep up with the latest news, updates and at times, even offers from these companies. However, with more users adopting the platform, it is increasingly challenging for brands to predict the best times to engage with their audiences. These challenges are more pronounced during the Holy Month of Ramadan where consumer habits change drastically both online and off. All whitepapers are available to you and free of charge. This whitepapers is provided by The Online Project.